Monostroma grevillei, copyright M. D. Guiry. The Ulotrichales are a group of aquatic green algae with a life cycle alternating between multicellular gametophytes and unicellular sporophytes. [A90] Archibald, P. A. 1990. Soil algae. In: Dindal, D. L. (ed.) Soil Biology Guide pp. 69–96. John Wiley & Sones: New York. [DI03] Denboh, T., T. Ichimura, D. Hendrayanti & A. W. Coleman. 2003. Closterium moniliferum-ehrenbergii (Charophyceae, Chlorophyta) species complex viewed from the 1506 group I intron and ITS2 of nuclear rDNA. Journal of Phycology 39: 960–977. [EB03] Eriksson, O. E., H. O. Barah, R. S. Currah, K. Hansen, C. P. Kurtzman, T. Laessøe & G. Rambold (eds.) 2003. Notes on ascomycete systematics. Nos 3580–3623. Myconet 9: 91–103. [L-BC03] López-Bautista, J. M., & R. L. Chapman. 2003. Phylogenetic affinities of the Trentepohliales inferred from small-subunit rDNA. International Journal of Systematic and Evolutionary Microbiology 53: 2099–2106. [NK03] Nedashkovskaya, O. I., S. B. Kim, S. K. Han, A. M. Lysenko, M. Rohde, N. V. Zhukova, E. Falsen, G. M. Frolova, V. V. Mikhailov & K. S. Bae. 2003. Mesonia algae gen. nov., sp. 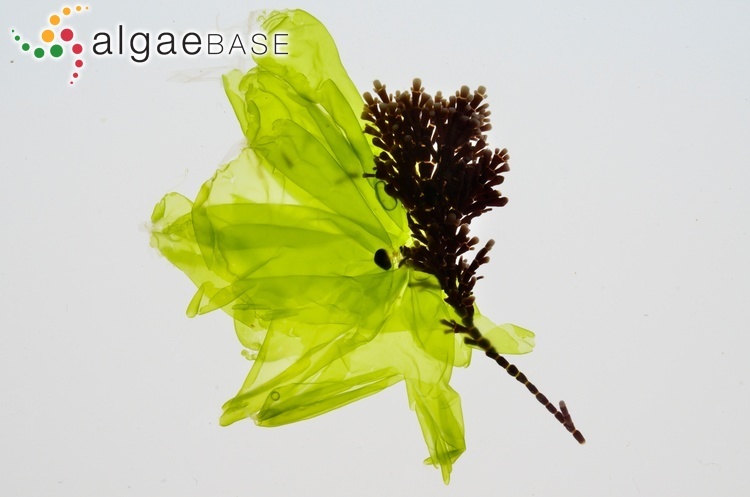 nov., a novel marine bacterium of the family Flavobacteriaceae isolated from the green alga Acrosiphonia sonderi (Kütz) Kornm. International Journal of Systematic and Evolutionary Microbiology 53: 1967–1971.